Mud Daubers are nuisance pests who construct their tubular nests from mud. Typically they select a sheltered site to build their mud tubes. Favorite spots are under eaves, porch ceilings, in attics, etc. 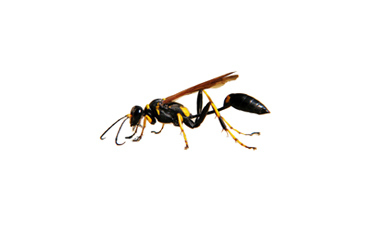 The nests can be annoying to homeowners, but the wasps themselves are not aggressive or dangerous. However, they will sting if handled. After springtime, the nest is probably old and inactive and can be removed.